We’re celebrating ten years of Games Asylum all month, but today is our actual birthday. Since YOU haven’t thrown us a SURPRISE PARTY, we have no choice but to present ten fun facts about Games Asylum. Enjoy. We’ll be in the corner singing Happy Birthday to ourselves. 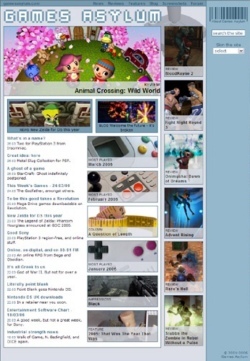 Games Asylum is ten years old, but its predecessor a year or so before that – from 24th April 2000 to be precise – was Dreamcast website DigiApe. It’s all offline now, but there’s a fair bit to be found by poking around the Wayback Machine. If you must. Matt still has a DigiApe t-shirt, pictured to the right with some cheap lager. Back in the day – until about 2006 – Games Asylum was a Proper Games Website. It seems bizarre now to think that we were invited to actual media events, received review code from virtually every publisher, and even hardware. Online PR budgets aren’t what they were though, and we became a lot lazier. Hopefully you’ll agree that in 2011 we’re finally getting into a groove with our new format. In those early days, we attracted the attention of certain real publications. We were described as “overwhelmingly text based” by The Sunday Times, and “borderline pointless” by magazine PSM. Nice. Matt even appeared on Now TV – a cable network on the other side of the world – to talk about Star Wars games. His caption was supposed to plug Games Asylum, but they just labelled him a Star Wars fan. Years later, Jake didn’t appear on a show on American cable network G4TV, because the production company couldn’t tell him where the satellite link-up would be, so he couldn’t tell them if he could do it. May 2001, November 2001, March 2002, July 2002, 2003, 2005, 2006 and 2007. Matt has a line of speech in Destory All Humans!, through this competition, and he’s credited in the game as a result. Adam has worked for a couple of games companies – which is sort of cheating – so has credits in a number of games. Jake has no credits. Jake was once recognised in Gamestation though, while adding The Legend of Zelda: Twilight Princess to his Wii pre-order. It was awkward for all involved. It remains a mystery to us quite how or why, but the comments thread on our review of Harvest Moon DS became an unofficial message board for the game. It seems to have gone quiet now, though there are over a thousand comments on the article – and that’s despite our whole comments system being reset a couple of times. Bizarre. Yes, Games Asylum is quite a bad name, in retrospect. We know. We were young, all right? WE KNOW. I remember when we took on a new chap and sent him a PC game to review. A couple of days later I got a massive rant in a e-mail, saying how he wasn’t a fan of the genre (it was an RTS, I think) and that he won’t be reviewing it and that he only wanted to review genres that he liked, and that it wasn’t fair to expect somebody who wasn’t an RTS fan to review an RTS game, blah, blah, blah. I think I nearly fell off my chair! Jesus the site’s old. A birthday hats off to the other writers who’ve contributed to GA and DigiApe in the past – off the top of my head, Mr Tock, Mr Sharkey and Mr Pick. I may have missed some. And a Mega Hats Off to Mr Matt Gander, who’s basically kept the site alive all this time. Things have been a bit low key these past few years. We’ve got a lovely redesign and revamp planned in the coming months though. What does a mega hat look like? 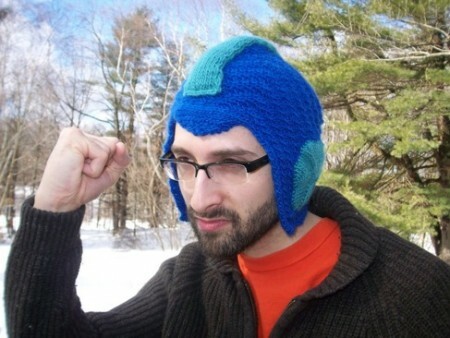 I want a mega hat……. Can I have my face on the front of your website… Would attract the ladies. Is that David Baddiel in the Mega Hat?